Jacksonville, Florida, September 30, 2016	(Newswire.com) - ​​Eminent domain and property rights attorney Jill S. Gelineau will address the important role private property rights play in societies around the world at the Thirteenth Annual Brigham-Kanner Property Rights Conference, October 20, 2016, at The Peace Palace in The Hague, The Netherlands. 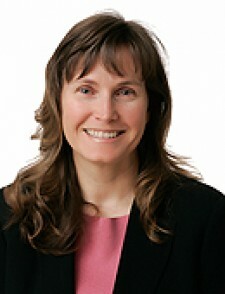 “I am delighted to participate in this outstanding conference with acclaimed property law scholars from around the globe,” said Gelineau, a Shareholder at the Pacific Northwest regional law firm Schwabe, Williamson & Wyatt and the Oregon member of the Owners’ Counsel of America, a nationwide network of eminent domain attorneys. Gelineau will speak on a panel focusing upon international property rights jurisprudence and the ways in which the property rights opinions of international courts have strengthened democracy and human rights and reduced global conflict. Panelists will discuss the role of the International Court of Justice in settling national boundary disputes, the reparations and criminal forfeiture provisions of the International Criminal Court, and the property rights opinions of the European Court of Human Rights. The Brigham-Kanner Property Rights Conference has been held annually since 2004 and is renowned for its dynamic panel discussions featuring legal scholars, judges, and practicing attorneys. Each year, the Conference awards the Brigham-Kanner Property Rights Prize to an individual whose work has made a significant contribution to the field of property rights scholarship. This year, Peruvian economist Hernando de Soto, President of the Institute of Liberty and Democracy (ILD), will be honored. The Property Rights Conference and Prize are named in recognition of attorneys Toby Prince Brigham and Gideon Kanner for their lifetime contributions to defending the rights of private property owners and their accomplishments in preserving the important role that property rights plays in protecting individual and civil rights. The Owners’ Counsel of America (OCA) is a nationwide network of experienced eminent domain lawyers dedicated to protecting the rights of private property owners large and small, locally and nationally, and to advancing the cause of property rights. The condemnation attorneys affiliated with OCA are in private practice in nearly every state and represent private owners against federal, state, and local governments, utilities, transportation and redevelopment authorities and other agencies that may be armed with eminent domain power. For more information or to locate an eminent domain lawyer in your state, please visit www.ownerscounsel.com.